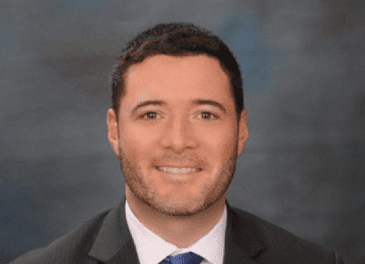 Secretary Carol Beatty announced on Thursday the appointment of Delegate Christian J. Miele, Esq., as Deputy Secretary of the Maryland Department of Disabilities. The appointment is effective January 9, the date Miele completes his term of office in the Maryland House of Delegates. Elected to the House of Delegates in 2014, Miele’s major legislative accomplishments include passing the Hire Our Veterans Act, a jobs bill to help unemployed military veterans re-enter the workforce; Janet’s Law, which empowers Marylanders to make more informed decisions when choosing their doctors by requiring physicians practicing without medical malpractice insurance to disclose their lack of coverage to prospective patients; and anti-bullying legislation for Baltimore County Public Schools to address widespread issues of bullying, cyberbullying, intimidation, and harassment in the nation’s 25th largest public school system. Miele was also a co-sponsor of legislation that established the Maryland ABLE Program, which gives families and individuals with disabilities the ability to set aside money in savings accounts to help pay for expenses related to their disabilities without affecting eligibility for other benefits. Department of Budget and Management, beginning January 2. “Our department has benefited greatly from Bill’s extensive legislative experience and we will miss his commitment to Marylanders with disabilities. His infectious good humor and kindness will also be missed. We appreciate all of his contributions to the Department of Disabilities,” Beatty said.